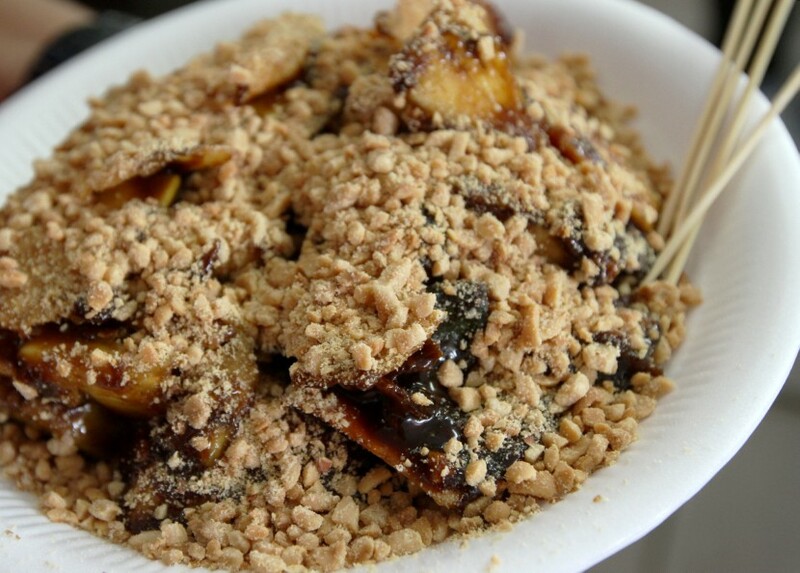 In A plate of rojak buah, there are fruits, sauce and sometimes peanuts. This combination is important to make this simple meal delicious. Just like the combination, three sisters are important factors to the now award-winningrojak stall in Taman Segambut. The Teng sisters who own Ateng Rojak, have been running their stall in Segambut Yong Tau Foo restaurant for 10 years. They first began the business in 1996 at Carrefour in Wangsa Maju. Eldest of the three, Sok Fun said their father taught them how to prepare rojak buah. Much-loved snack: Ateng Rojak’s mouthwatering rojak buah. “He learned to make rojak buah from a sifu from Penang and later developed his own recipe and began selling about 30 years ago at a roadside stall,” she said. Growing up, the girls watched their father make the local delicacy, daily. “We still use our father’s recipe for rojak buah but we decided to sell more than justrojak,” she said. Sok Fun, together with her sisters Sok Chen and Sok Yun, also sell tauhu bakar, ground nuts, prawn crackers, popiah and organic Japanese sweet potato. Although the sauces used are the same as their father’s, the sisters have innovated the other dishes like their popiah and tauhu bakar to make it their own. Among some of their interesting selections are the seaweed popiah with chicken floss. 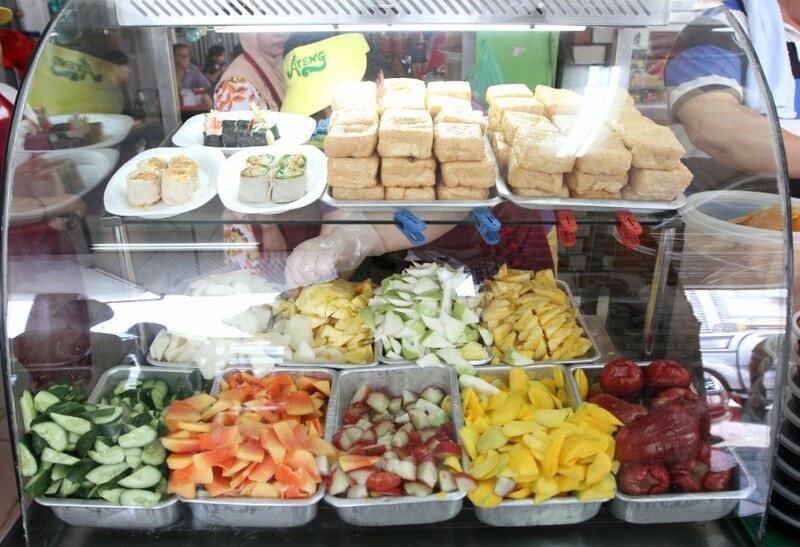 A variety: Ateng Rojak uses seven different types of fruits for their rojak buah. They also serve a variation of popiah and tauhu bakar. “I learned to make tauhu bakar back when we were selling rojak buah in Wangsa Maju, because a majority of our customers were Malays. “Through them, we also got our name ‘Ateng’ as my customers used to call me ‘Ah Teng’,” she said. These businesswomen not only sell food at their stall, they also supply rojak sauce to about 10 rojak buah vendors. “The sauce and condiments are prepared at home and each day, five tubs of sauce, equivalent to six kilograms per tub are prepared. “A total of 60kg of sauce is made and supplied to vendors every week,” said Sok Fun. They serve two types – original and crispy, with the former being the most sought after. The original rojak buah consists of pineapple, jicama (sengkuang), rose apple (jambu air), guava, papaya, mango and cucumber. Prawn crackers are also added and topped off with peanuts. The crispy popiah is a mixture of just prawn crackers and peanuts added to the sauce. The sauce and freshness of fruit and crispy prawn crackers are a crowd puller, even at lunch hour on weekdays. Their popularity with loyal customers saw them getting 296 votes in The Star People’s Food Awards’ Best Rojak Buah in the Klang Valley. Ateng Rojak beat 10 other rojak buah nominesss to win the title via public nomination and voting on Metro Online Broadcast website. The public can vote for the best category-based street food such as nasi kandar (May) via the MOB website. The award ends with this month’s category of favourite nasi kandar. Nominations have ended and voting has begun and ends on May 31. Those who nominate, vote or successfully share a link are automatically entered into the race to win attractive prizes such as hotel stays and dining vouchers.